In the early years of World War II with a German invasion seemingly imminent, the British army scrambled to equip Home Guard units with defensive weapons. Some of these weapons were … less than ideal. Case in point, the Blacker Bombard, a spigot-launched mortar. “A fearful homemade weapon,” is how Thomas Roome, who during the war was a member of the Home Guard, described the weapon. Developed by Col. Stewart Blacker as an anti-tank weapon, the Blacker Bombard lacked the tube that characterized conventional mortars. Instead, the Bombard featured a steel rod — the spigot — that fit to a base plate. The bomb itself included a propellant charge in its tail. To fire the weapon, the crew pushed a bomb down onto the spigot, which exploded the propellant charge and projected the bomb into the air. “When we had a misfire, which we not infrequently did, it was pivoted ’round towards me, as the number two, to take it [the mortar round] off,” Roome told the Imperial War Museum. 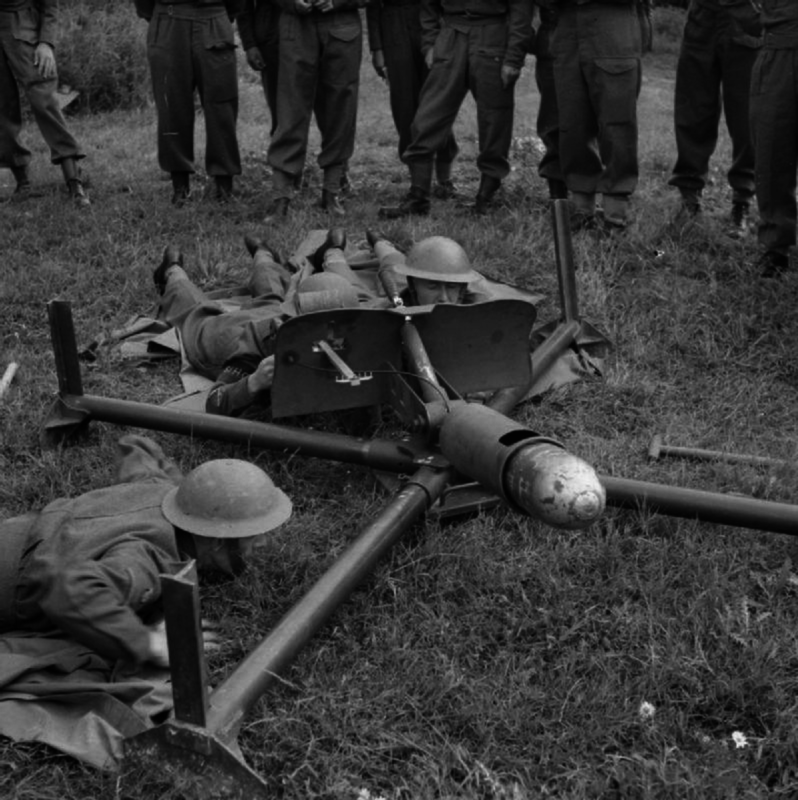 The Bombard was a Home Guard weapon. The regular British Army deployed only a few of the unwieldy devices for the defense of coastal gun batteries. 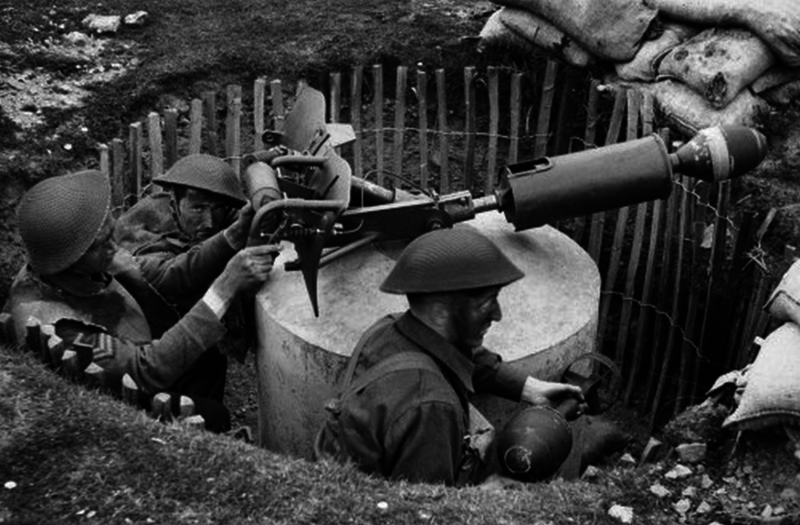 The principle behind the Blacker Bombard inspired the designers of the much more successful PIAT.